Lynda Woolard had seen enough. A National Football League owner-initiated lockout. The replacement referee debacle. Foot-dragging and outright denial on concussions. Taxpayers shelling out billions for shiny new football stadiums -- and then having the actual games played in those same stadiums blacked out to force more fans to purchase tickets. Despite the fact that it is a $9Billion/Year Industry, the NFL Commissioner and Owners continue to enjoy status as a non-profit organization. The NFL should pay their fair share towards our economy! Additionally, they have methodically worked to shift all the power to their side, leaving players, employees and PARTICULARLY THE FANS little say in what goes on with the league. We deserve a say, but do not wish to boycott our teams! Therefore, we are calling on our elected representatives to revoke the tax-exempt status we bestowed upon the league half a century ago. Please write letters to your editors, to your senators and congresspeople, and sign the petition! "I love football," Woolard says. "I'm a big fan of the game. You have [league] commissioner [Roger Goodell] speaking about 'protecting the shield.' But it doesn't feel like protection when you have these economic deals where the public pays the bill. "I don't think it has been a widely known thing that the NFL is a nonprofit. When people hear about it, mostly they think it's not right. So [the petition] felt like an opportunity to go to our representatives in Washington and say, 'this is something you can fix.'" Can they? For historical reasons no one quite understands -- but likely having to do with former NFL commissioner Pete Rozelle and clever lobbying -- Congress slipped language designating "professional football" organizations as nonprofits into an unrelated 1966 bill covering investment credits and property depreciation. Ever since, the league has been enriched via the single most egregious example of Sports Welfare -- the billions of dollars in local, state and federal subsidies for the private sports industry, an inappropriate, unnecessary payout pick-pocketed from taxpayers. Meanwhile, efforts to revoke the perk have been quixotic at best, largely confined to incredulous articles. (Including ones written by yours truly). The basic gist? The NFL makes billions in annual revenue. Its executives are paid millions. It will never be mistaken for the Red Cross. If the league office was subject to the standard corporate tax rate, the country would have more money for roads and food inspectors and tax cuts for people who actually need tax cuts. Something does not compute. Most people not directly related to Goodell would agree. Heck, Goodell's father likely would agree, given Charles Goodell's reputation for integrity and conscience while representing New York in both the House and Senate from 1959 to 1971. Problem is, Sports Welfare flies below our collective policy radar, a stealth drone compared to high-profile air shows like health care and immigration. Even today, most people have no idea the NFL's league office is considered a nonprofit in the eyes of the Internal Revenue Service, same as the United Way. In turn, that allows politicians to focus their attention on other, more essential matters of state. Like reading -- and misinterpreting -- Dr. Seuss. Fortunately, the above dynamic finally may be changing. Slowly but surely. Start with Sen. Tom Coburn (R-OK). Last year, he released a government "waste book" decrying the nonprofit status of the NFL, NHL and other professional sports organizations, estimated to cost taxpayers between $10 million and $91 million annually. In May, he attempted to attach an amendment to a Senate bill that would have eliminated the tax exemption. Two months later, he wrote a letter to Senate Finance Committee Chairman Max Baucus (D-MT) and ranking member Orrin Hatch (R-UT) asking that sports subsidies be included in any legislation intended to overhaul the tax code. A few weeks ago, Coburn reintroduced his previous amendment as a stand-alone bill. Dubbed the PRO Sports Act -- PRO being an acronym for Properly Reducing Over-Exemptions -- the legislation would would prohibit pro sports organizations with annual revenue of more than $10 million from filing as nonprofits. "Tax earmarks are essentially tax increases for everyone who doesn't receive the benefit," Coburn said in a press release. "In this case, working Americans are paying artificially high rates in order to subsidize special breaks for sports leagues. This is hardly fair." Beyond simple fairness, the rationale for Coburn's bill goes like this: under existing law, the NFL's league office and other sports groups qualify as 501(c)6 organizations -- essentially industry trade groups, specifically defined as "associations of persons having some common business interest, the purpose of which is to promote such common interest and not to engage in a regular business of a kind ordinarily carried on for profit." (Italics added). The NFL, Coburn argues, engages in the latter. Unlike a local Chamber of Commerce promoting business in general, the NFL exclusively promotes NFL football. Moreover, it does so for the purpose of profit. Speaking of profit, it's difficult to estimate just how much money the NFL's 501(c)6 status saves the league -- and by extension, costs taxpayers. The league office itself avoids paying the standard corporate tax rate of 35 percent, despite reporting $255 million in revenue in 2011. The primary source of said revenue? NFL teams pay an estimated $5 million-plus in annual dues to the same office, money that is also tax-deductible. Vermont-based attorney Andrew Delaney, who wrote a 2010 law review article about the NFL's nonprofit status, calls the arrangement "creative asset priority reallocation." Which, it should be noted, is a nice way of saying perfectly legal money laundering. According to Delaney's analysis, taxpayer largesse helps subsidize the astronomical salaries of executives like commissioner Goodell ($11.6 million in 2010), media vice president Steve Bornstein ($12.2 million) and former commissioner Paul Tagliabue ($8.5 million). It also allowed the league in 2009 to pay 296 salaries over $100,000; fork over $7 million-plus for legal fees; spend nearly $1 million a month for office space; shell out $6.25 million for "travel services"; and pay 135 total independent contractors at least $100,000 apiece. Given that the NFL already demands and receives a jaw-dropping, stomach-turning number of tax breaks -- including league employees being exempt from all local taxes in communities hosting the Super Bowl -- you might assume the political climate is ripe for something like Coburn's bill. After all, Republicans and Democrats alike could pass the act, then grandstand about raising revenue by closing a high-profile corporate loophole, as opposed to sticking working families with higher tax bills. Moreover, both parties could repair their tattered, dysfunctional images just by appearing to cooperate on something. 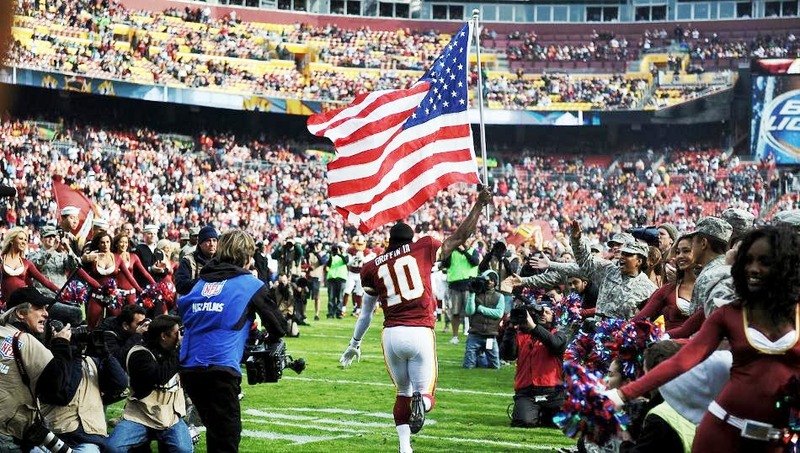 Yes, you might think ending the NFL's free ride is an inside-the-Beltway no-brainer. Guess again. Coburn's waste book was mostly ignored. He withdrew his amendment without debate. His new bill has yet to attract a co-sponsor, despite what his staff describes as "extensive outreach." The reason? Cash. According to the Washington Post, the NFL has tripled its lobbying expenditures since Goodell became commissioner in 2006, up to $1.14 million in 2012. Over the last five years, team owners and their families also have contributed nearly $2 million to Congressional campaigns. None of this giving is charitable. Special interests spend money on lobbying and campaign donations for the same reason athletes take performance-enhancing drugs: because they work. Recently, Rep. Linda Sanchez (D-CA) sent a letter to House Judiciary Committee co-chairs Rep. Lamar Smith (R-TX) and Rep. Bob Goodlatte (R-VA), asking for new hearings on brain trauma in football. Her request fell on deaf ears. According to the Post, Smith and Goodlatte each have received $15,000 in NFL donations, with the latter stating publicly that Congress shouldn't play "armchair quarterback" in league affairs. "You hate to embarrass people, but that's what it takes with something like this," a Capitol Hill staffer told me about Coburn's proposal earlier this year. "If [Congressional members] were pushed on this publicly, they couldn't side with rich lobbyists or their special interest buddies in the NFL who give them free tickets." This also is where the public comes in. And why petitions like Woolard's are so important in the fight against Sports Welfare. Narrow corporate interests -- such as the NFL -- most easily game the system when voters are apathetic, indifferent or just plain uninformed. More often than not, the latter fuels the former. The best time to rob a bank is when no one is watching. How many people watching "Monday Night Football" are even aware that their tax dollars are indirectly funding the show, as well as Goodell's generous salary? Upon discovering the truth, how many of those same people would be in favor of maintaining the status quo? The NFL is a prime example of what a "TAKER" really is. It's NOT the people on foodstamps. We the people pay to build their stadiums so anxious little boys can play a game. It's absolutely revolting that they receive a tax exempt status. Who exactly do they benefit other then themselves. I can't even afford to buy a ticket to a game. How many tickets do they donate to needy kids to go watch a game? This is an abomination. What does the NFL organization do for society? Do they help to feed the homeless & low income people? Do they contribute to low income housing? Do they help to set high standards for animal husbandry? Do they create and implement solutions to environmental issues? Why is an entertainment organization tax exempt? Is the uptick a coincidence? Woolard isn't so sure. "I put the petition up about a year ago, and let it grow organically," she says. "Why it has taken off recently? Two things. One, tough economic times. I think people are loooking for things to be more fair when it comes to shouldering the burden. But two, there's more information out there. And people are processing it." Sports Welfare needs a Tea Party. An Occupy movement. At the very least, it needs informed voters letting lawmakers know that enough is enough. Eventually, Woolard says, she will deliver her petition to Congress. For now, she wants to collect as many signatures as she can -- double or triple the current mark -- so that the message is loud and clear. "I ask people: can you explain to me why the NFL deserves nonprofit status?" she says. "Nobody can answer that. I'd like to see Roger Goodell go to Congress and have to explain why they have it. We in the public deserve an explanation." "At the very least," she says, "that would be good TV."